The ear is a very sensitive organ; it is the house of one of the most important senses of the human body - the auditory sense. Due to its delicate nature, there are several problems that can occur with the human ear. One of the most common problems occurs when the ear gets infected. In severe cases, pus formation may occur. Such inflammations of the ear commonly occur in children. - Bael (Aegle marmelos) The root of the bael tree is used in a unique manner to treat ear problems. A stiff root of the tree is dipped in neem oil and it is lighted. The oil dripping from this root is allowed to fall into the ear. This brings about tremendous relief in ear aches and infections. - Bishop's Weed (Trachyspermum ammi) Bishop's weed is very effective in treating ear congestions. About a teaspoonful quantity of it is heated in 30 milliliters of milk. The juice of the weed is allowed to permeate into the milk. This is then used as ear drops. - Holy Basil (Ocimum sanctum) The holy basil, or tulsi as it is called in Hindi, is beneficial for ear problems. The juice extracted from its leaves must be used as ear drops. It has added benefits in children who are suffering from ear problems. - Neem (Azadirachta indica) Neem has antiseptic properties due to which it can kill the organisms that produce the infections in the ear. It is effective by itself. In order to enhance its effects, it can be taken with bael root as mentioned earlier. - Sour foods must be avoided as they vitiate the kapha. These include curds and fruits that are sour in taste. - Bananas, watermelons, oranges, papayas and cucumbers must be avoided. These foods can increase the chances of having common cold. This would aggravate the ear problem. For the same reason, all refrigerated foods must also be avoided. - Valuable foods during ear problems are onion, ginger and garlic. Turmeric is also very good, and must be used for spicing the meals. Most ear problems are treated with Lakshmi Vilas rasa. This is prescribed for both adults and children. In adults, the dose is one pill thrice daily. It is a bitter pill, so to reduce its bitterness it is taken with honey. In children, the dosage is reduced. For external use, Nirgundi is prescribed. The extract of the nirgundi oil is boiled with mustard oil. The solution is used as external drops for the ear. The drops are generally prescribed to be used twice daily. - Make a fine mixture of turmeric and burnt alum (alum that has been allowed to swell). Introduce this mixture slowly into the ear. - Mixing Indian barberry and honey in mother's milk and putting it in infected ears provides benefits. - Put a little fenugreek in cow's milk. This can be used to put as drops into the infected ears. - The paste of the bilwa root is boiled with mustard oil. After filtering, this oil is used as ear drops. - A single piece of clove is sautéed in sesame oil. Three to four drops of this is put into the ear. 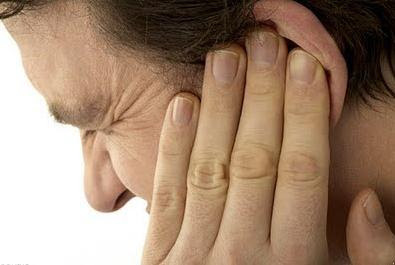 This method gives immense relief in ear problems. - One simple remedy is to use extract of ginger as eardrops. The juice of the onion can also be used in a similar fashion, but it must be warmed. Ear infections could be itchy or painful. Hence there is a tendency that the child will scratch the ear or put their fingers in the Eustachian tube. This must strictly be avoided as the dirt on the fingers will aggravate the infection further. Also, by doing so, the person is increasing the chances of infection to others. People with ear problems must take care to keep themselves away from the cold as much as possible. They must avoid having baths till the ear problems are treated. They must wear warm clothes and avoid eating cold foods. This article couldn't be farther from the true and lacks knowledge of human anatomy. "Hence there is a tendency that the child will scratch the ear or put their fingers in the Eustachian tube." The Eustachian tube is in the middle ear behind the ear drum. It would be impossible for a child to pt their finger in it. The ear canal is also know as the external auditory meatus. There are infections of the ear canal that can be caused by putting dirty finger in the canal, but can also be caused by putting tumeric, milk, bayberry or anything in there. The ear infects most think of is in the middle ear. the ear drum separates the canal from the middle ear.